In 1532, the Spanish forces led by Francisco Pizarro routed the Inca army at Cajamarca in the northern highlands of Peru, bringing to an end South America’s biggest empire. The Spanish conquistador marched to the Inca capital Cusco in regalia, but claimed the Spaniards were restrained in their show of triumph compared to the Incas. “There is no celebration like when the Inca warriors came back from battle. They enter the city of Cusco screaming their victory and the entire city stops. The citizens honour the warriors, offering them food, drink and taking care of their wounds,” he wrote. 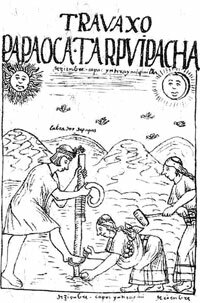 Pizarro’s account has fostered a school of history writing that regards military precision as the mainstay of the Inca empire. But a recent study suggests the powerful empire may have sprung from a more earthly innovation: the use llama dung to make fertiliser. Alex Chepstow -Lusty, a palaeoecologist from the French Institute for Andean Studies in Lima, Peru, who led the study, believes, “The fertiliser allowed corn to be cultivated at high altitudes, allowing the Incas to settle and flourish.” His analysis of mud cores from the bed of a lake close to the mountain city of Ollantaytambo in south Peru, show the agricultural feat was accomplished some 2,700 years ago. The mud cores showed that around the same time as maize pollen became dominant, oribatid mites increased. These bugs eat animal faeces, including llama dung. People in the Andes had begun domesticating llamas 3,500 years ago. But Chepstow-Lusty says, the extra mite remains in the mud suggest “the area around Ollantaytambo was teeming with llamas: a bonanza of llama dung would have fuelled the mite population boom”. Before the plant-breeding feat, people in the Andes were eating potatoes and quinoa, a plant similar to spinach. Graham Thiele, an Andean agriculture specialist at the International Potato Center in Lima, believes maize made a big difference. More energy-dense than potato, it could be stored longer and was easier to transport. “This really matters where there are no flat roads and wheeled vehicles and everything has to be carried on the back of a man or llama.” Maize also trumps potato as a tax item. “It is more suitable for accumulation in elite-controlled stores, and would have supported rent extraction by the emergent Inca elites,” says Thiele. Llama fertiliser, together with new weeding techniques, irrigation and genetic selection, was to transform the Andes into a centre for a succession of civilisations. But the Inca empire was still more than 1,500 years away. In the 12th century, the Incas were just one of several tribes in the Andes. Empire building in the Andes got a kick-start with a climate change that allowed Western Europe to emerge from the cold-and-nasty Dark Ages. 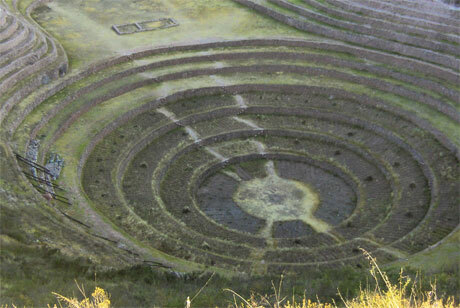 Pollen and seeds found in sediment around Cusco reveal a period of climate warming that began around 1100 AD and continued past the Spanish conquest of the Incas. Four centuries of warm weather melted the glaciers, pumping water into the arid region. Trees were moved up mountains to combat soil erosion, allowing farming in the newly clear ed tracks of land. The result was a long period of plenty. Maize and potato fed a growing population, allowing the Incas to turn to assembling a military and building infrastructure. River-courses were channelled. The empire was pulled together by miles of all-weather stone roads and a warehouse network. It had two or three years worth reserve of food and clothing. These were promptly seized by the Spaniards.